in Amdo Rebkong, Tibet today on November 4 2012. 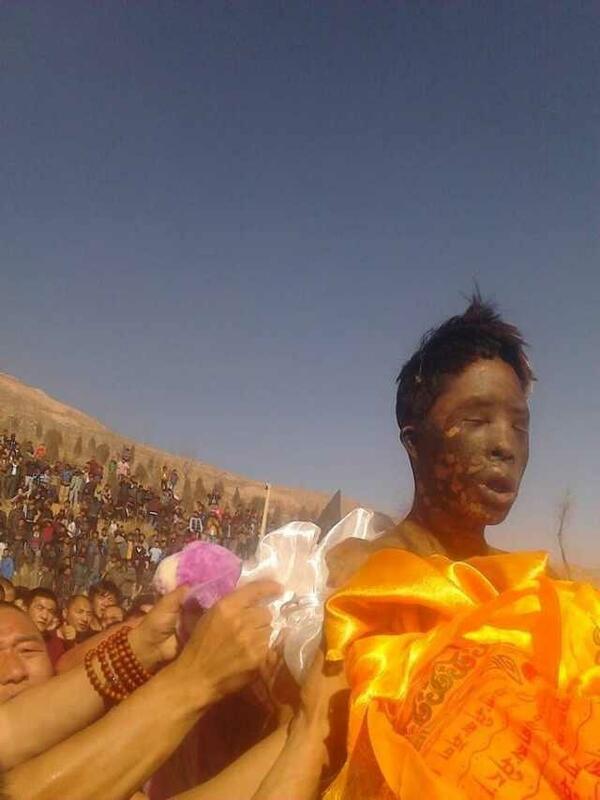 Info: A young Tibetan man called Dorjee Lhundrup set fire to himself today in Rebkong (Chinese: Tongren) in Qinghai province, the Tibetan area of Amdo. Dorjee Lhundrup was a farmer in his mid-twenties from Chuma village in Rebkong. He had two children, a two-year old daughter and a four-year old son. 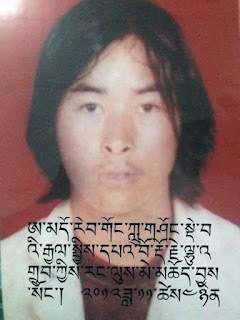 Dorjee Lhundrup self-immolated on the morning of November 4 on Taglung South Street, some kilometers west of Rongwo monastery. He died immediately afterwards.